Hey everyone! It's Candace from Candi O. Designs and it's my day over at Jaded Blossom! It's graduation time and JB has the perfect products to make the cutest gifts!! I made this treat bag to hold a gift card and candy of course!! This is so cute..maybe I will do one for my niece. Wonderful treat bag!! Super sweet! This is adorable. You did a fantastic job and very nice gift. This is super cute!! 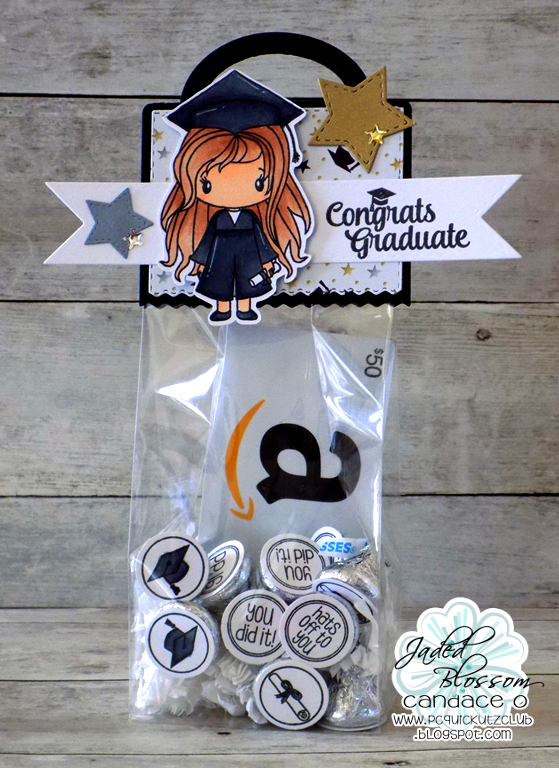 i Too just finished making some graduation gifts for two seniors!! Wish I would have know you all had this cute stamp set!!! LOVE what you made!! 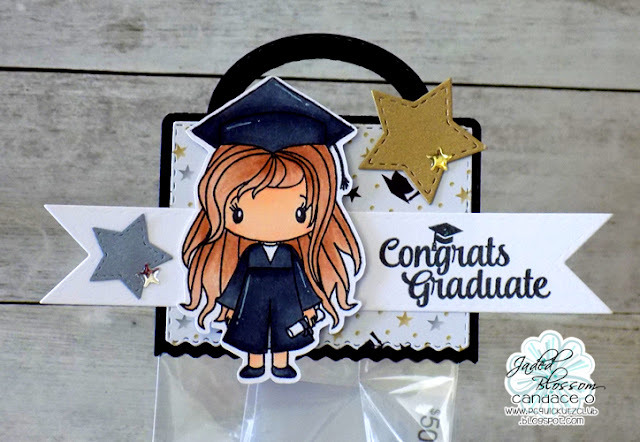 I adore these cute graduation items! I know one little gal who is going to be so surprised <3 Thanks so much for sharing! !